Submitted by jlauderman on Mon, 2010-08-30 02:10. 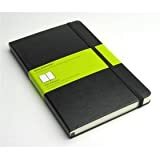 Does anyone know if there will be pdf's for the letter size planners for the rest of the year? Submitted by ygor on Mon, 2010-08-30 12:16.